How much is Bokeem Woodbine Worth? 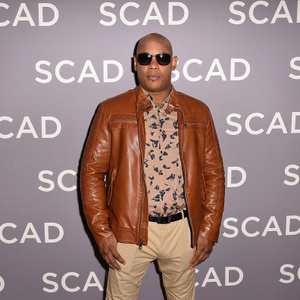 Bokeem Woodbine Net Worth: Bokeem Woodbine is an American film and television actor who has a net worth of $3 million dollars. Bokeem Woodbine was born on April 13, 1973 in Harlem, New York to an actress mother. He attended the Dalton School in New York before transferring to the Fiorello H. LaGuardia High School where he was an Instrumental Music Major, and the lead singer for the band, Mazard. With the encouragement of his actress mother, Woodbine entered show biz at age 19 as a stand-in and extra in Ernest R. Dickerson's directorial debut, the 1992 hip-hop classic "Juice", starring Tupac Shakur and Omar Epps. In the following year, he made his TV acting debut in the CBS Schoolbreak Special entitled "Love Off Limits". Woodbine landed a featured role in the romantic drama film "Jason's Lyric" in 1994), as the title role's bad brother Joshua. He co-starred with Reese Witherspoon, Kiefer Sutherland and Brooke Shields the 1996 film "Freeway", a modern take on the Little Red Riding Hood story, and was cast alongside Sean Connery and Nicolas Cage in Michael Bay's blockbuster action movie "The Rock", as Gunnery Sergeant Crisp. In 2001, Woodbine co-starred with Christian Slater and David Arquette in the thriller "3000 Miles to Graceland". He had cameos in "The Host" and a role in "Riddick". Bokeem received critical acclaim for his role as Mike Milligan in the FX series "Fargo". The role was trans-formative for his career. In 2017 he appeared in Spider-Man: Homecoming as the villain "Shocker". In 2018 he co-starred in the mini-series "Unsolved: The Murders of Tupac and The Notorious B.I.G."